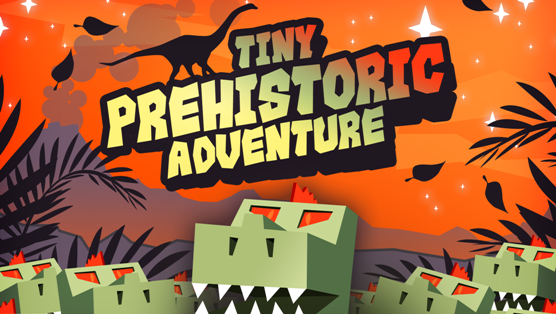 Tiny Prehistoric Adventure arrives in the App Store less than a month after Tiny Space Adventure, joining the two as point-and-click sister games from independent developer Alexandre Minard. Less explicitly educational than Minard’s previous projects, Prehistoric is a puzzler well-suited for the adult mind, though younger players shouldn’t have much trouble jumping right in. The game’s first eight levels are free to download as of now, with the remaining dozen or so available for $3. Prehistoric is billed as “a point-and-click game,” a perhaps dull, yet apt moniker. With a simple tap of the screen, players give commands to the same unnamed chrononaut from Tiny Space Adventure, though this time around the adventure takes place 100 million years before our present time. Indeed, this vibrant, prehistoric setting is one of the game’s strongest suits. Jurassic roars, crashing waves and the squawks of long-extinct birds provide an immersive soundscape. Rich, earthy hues of browns, oranges and greens paint each stage alive with cartoonish elegance. Even a few minutes with this game are enough to see that Alexandre Minard has a knack for expressing unique style. Like many point-and-click adventure games, Prehistoric relies heavily on trial-and-error and the “trading game”—finding, combining and exchanging objects with your environment in order to procure even more objects. The “click on everything” gameplay that results from this design isn’t always fun, but Prehistoric slightly eases the pain with subtle humor. Dying in new ways, like being eaten by a cave monster or giant Venus flytrap, is fun, and oftentimes leads to Game Center achievements. 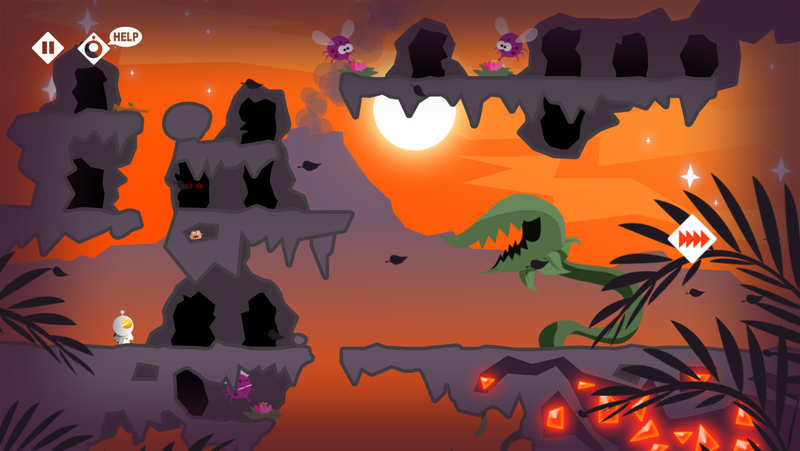 Certain objectives, such as tickling the feet of a brontosaurus or masking yourself as ant food, make redoing a level a little less frustrating. These sorts of engaging moments play a crucial role in driving the player from one stage to the next. Unfortunately, Tiny Prehistoric Adventure is much more generous with breadth than it is depth. Over the course of 20+ levels, players will encounter a surprisingly diverse set of enemies and challenges, but the skills you acquire by beating stages are rarely required more than once. One of the elemental attractions to any game is the prospect of mastery, so it was disappointing to discover that later levels continue to emphasize trial-and-error. Because of this, players are bound to find themselves frustrated in situations that could otherwise be immensely satisfying. Tiny Prehistoric Adventure comes in a very consumer-friendly package: Play a few stages for free, then decide to pay or not pay for the rest of the game. I enjoyed my experience overall, but chronic rage-quitters may not take kindly to failing, trying and failing again. There’s always a hint map, of course, but where’s the fun in that?